Do you have issues getting to sleep at night? Have you ever woke up at 2am and had your stream of conscious go down a deep rabbit hole of stressors like work or kids and it keeps you up all night? Good news! Today Doc Danny has your fix. 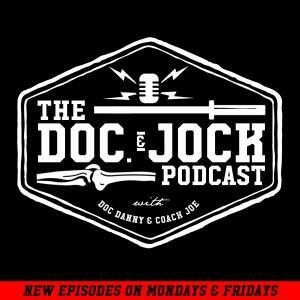 On Episode 241 of the Doc and Jock Podcast Danny drops some knowledge on how to fall asleep in 1 minute using a breathing technique. When you try this and have a positive experience PLEASE let us know via an iTunes review.